Yoe, a borough in York County, has been chosen as the location for Pennsylvania’s first mini-casino after the operator of Grantville’s Hollywood Casino won the rights to open one of 10 new satellite casinos courtesy of a $50.1 million bid and Governor Tom Wolf’s October approval of a far-reaching revenue package that included expanded gambling in the state. The Pittsburgh Post-Gazette reports that on Wednesday morning, Mountainview Thoroughbred Racing Association LLC, the operator of Hollywood Casino in East Hanover Township Dauphin County, and subsidiary of Penn National Gaming, submitted the winning bid via auction conducted through secret ballot in Harrisburg. According to the York Daily Record, the fact that Yoe was chosen does not mean that a satellite casino will be built there. What it does mean is that the developer has been approved to locate a site within 15 miles of the 136 square-acre borough, which is situated approximately seven miles from the city of York. Yoe was reportedly one of the 42 municipalities, more than half in York County, which opted out of the siting process for new casinos, so the satellite casino won’t be placed there. 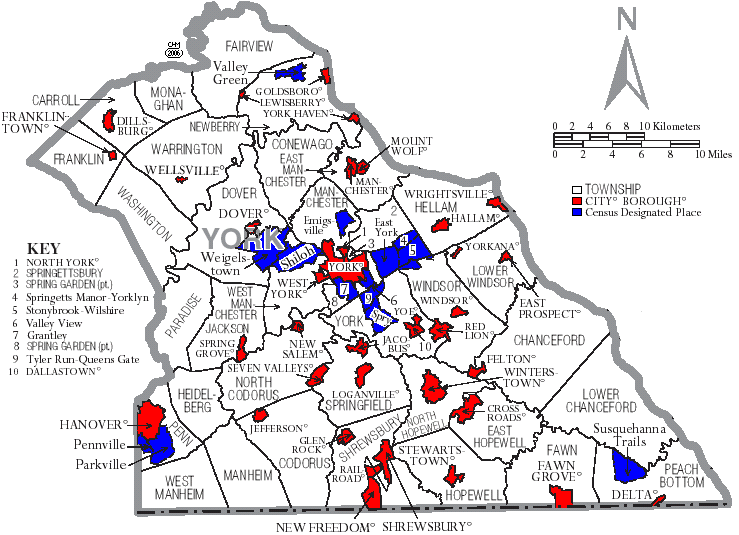 However, 27 municipalities in southern York County, including York City, did not, as reported by the York Daily Record. According to Kevin Schreiber, president and CEO of the York County Economic Alliance, by using Yoe as a center point, Penn National has a lot of options, with the 15-mile radius including the York metro area as well southern York County. According to the Pittsburgh Post-Gazette, at the auction, a bid for the mini-casino was made by four of the 11 eligible casinos. It was the first of 10 auctions reportedly scheduled over the next five months. Nine other public auctions will be held, with each of them scheduled between Jan. 24 and May 16 announcing one winner. The small borough, which was estimated in 2016 to have a population of 1,010, is outside the 25-mile safe zone of Hollywood Casino. No other casinos are permitted to place a satellite there. In an attempt to prevent construction of the new casinos, a federal lawsuit was filed on Tuesday by Mountainview Thoroughbred Racing Association claiming that the gambling expansion law signed by Gov. Wolf on October 30, 2017, leaves the Grantville business uniquely vulnerable to its customers being poached by the new “mini-casinos,” more so than all of the other casinos in the state. The lawsuit states, “Though the 25-mile buffer zones purport to treat all existing casinos equally, as applied, Hollywood Casino, uniquely situated in the middle of the state, is the only casino likely to face significant cannibalization,” according to Philly.com. Penn National argues that the sole 25-mile buffer is not sufficient to protect Hollywood because the casino is alone and situated in the middle of the state, unlike other casinos which are already are close to competitors. Those casinos, the lawsuit argues, forms what it calls “mega-clusters” that form a super buffer of sorts and increase the exclusion zones around them. Sands Casino Resort Bethlehem has also filed a lawsuit challenging the state’s two-month-old gaming law. According to the York Daily Record, Penn National Gaming has two business days to pay its winning bid of $50.1 million to the state. The company then has six months to submit a formal application notifying the Pennsylvania Gaming Control Board of the exact location of the satellite casino, unless an extension is granted by the state.